Linda Glaz, is my agent with Hartline Literary Agency. 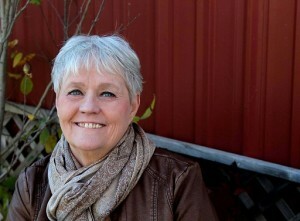 Besides being an experienced editor, reviewer and agent she is also an author. Please tell us something about yourself, Linda. I love writing, agenting, teaching, and any or all things to do with books. I read voraciously as a kid, and that same love has carried over into my adult life. What sparked your interest in writing? Probably all of the reading. Also, I wrote my first story when I was 13. It was horrible but pushed me over the top in my love of words. Also had a teacher who so loved the written word that she truly instilled that love in most of her students. Do you have a writing schedule and special place where you write? Hahaha. A schedule? I’m on the computer in my home office no less than twelve hours a day. Most of that time is spent working, but I take dozens of mini-breaks throughout the day to get up, move around, play on FB, anything to break the monotony. And my office is, I’m embarrassed to say, a disaster. I clean it on occasion, but there has to be a real good reason. Do you work to an outline or plot, or do you prefer just see where an idea takes you? I’m completely a pantster. I love to let the characters develop their own personalities as I go along, and if that means changing Mr. Milktoast into the murderer, so be it. I have a general idea of what I want the story to be about when I start, but honestly, the characters press me into totally different directions most of the time. What do you find most rewarding and challenging about being a writer? (research, plotting or organizing a story, marketing, or something else) The initial writing, and then the final edit when the story has changed direction so many times it’s mind boggling. The rewarding aspect is in discovering who my characters are and making them work. You have written a number of contemporary and historical romances. FEAR IS LOUDER THAN WORDS is a romantic suspense that moves quickly and keeps the reader engaged with multiple plotlines. Please tell us about your transition to romantic suspense and about the story. I actually started by writing romantic suspense. I have five novels complete and waiting to be edited. But, I also love historic romance, so when the opportunity came up to actually pay some bills by writing it, I loved the challenge. In that respect, I love doing the research for them. There is nothing I hate, and I mean hate, more than reading a historic novel that has details wrong. I once had a proofreader change my use of Miss to Ms in a WWII novel, and I about freaked out. I am a NUT for details in a historic novel. Is there a message in your novel that you want readers to grasp? I was recently reminded that fear and worry cannot live together in the spirit alongside faith. So if you keep your faith strong, they have to go. My character had to learn that in Fear is Louder Than Words. She tried to allow them to all live with her, and that’s not possible. So trust, faith, and forgiveness were all woven into it. God often teaches us something through our writing. What did you learn about life, faith, or yourself in the process of writing this book? That I was too much like the character. I don’t trust when I should, and I do tend to be trusting at times when I shouldn’t. Also to forgive. So important and so difficult in some instances. Do you have another book we can anticipate seeing soon? I’m actually working on one I wrote almost 20 years ago. Am trying to decide whether to keep it in the 80-90s or bring it into 2016. It’s about a birthday sleepover. When the mother returns for her five-year old in the morning, the entire house is empty. Every parent’s nightmare, you know? Where can readers find your books? My newest can be found at Lighthouse Publishing of the Carolinas, or on Amazon. All of my previous books are on Amazon as well. Aren’t they all nowadays? Thank you so much, Linda, for being my guest. I know folks will enjoy FEAR IS LOUDER THAN WORDS and your other books. Thanks for having me. I enjoy connecting with other readers and writers! To enter the giveaway for a free e-copy of FEAR IS LOUDER THAN WORDS, please leave a comment along with your email address. The winner will be chosen and notified on January 15th. I just finished reading Fear and I couldn’t believe the twists at the end! Thanks for stopping by, J’nell. It is a story with plenty of twists and turns. Thanks so much for having me. I appreciate it! I suspect more people than we know can identify with being stalked. It’s a riveting story. Congratulations, Linda. You know how some people say, “I couldn’t put the book down”? Well, I was the opposite. Fear Is Louder Than Words is written so well I was completely drawn into the character and got so tense several times I had to put the book down, take breath, and remember that it isn’t real. Good job, Linda! I agree, Susan. More than once I had to walk away. Of course I ran to pick it up again. I’m up to chapter 4 of Fear and am loving it! Love the characters, love the dialogue. Love the suspense, and can’t wait to see what happens. You will enjoy it, Elaine. And there are plenty of surprises ahead. What a delightful interview. 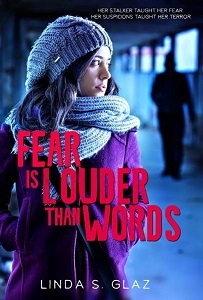 I enjoyed getting to know Linda Glaz as a writer and look forward to reading FEAR IS LOUDER THAN WORDS. It’s a great read, Linda. It will keep you on the edge of your seat and you won’t know where it will take you.